However, it didn’t quite go as we had hoped. We were busy, the process took too long, and when we were ready to launch the site, the winner’s iPhone app wasn’t finished. We lost all our momentum and finished with a whimper instead of a bang. Bummer. All that was on us, though. We barely knew anything about business back then, and it never occurred to us that the winner wouldn’t have a product by the time we finished the website. Over the years I’ve thought many times about re-launching DesignHope, and about how I’d do it differently this time around. But it really took a year of downsizing, simplifying and traveling with my family to put things in perspective. Long story short? By removing the 3 zillion distractions we had owning a huge house and living in the suburbs, I was able to open up a lot more time and really start making a plan to spend my days more intentionally. I mentioned this to my Kicktastic cohort Austin Church at a Space Retreat and he was all in. Within an hour we identified most of the problems with the original DesignHope and started planning a reboot. Which brings us to today! 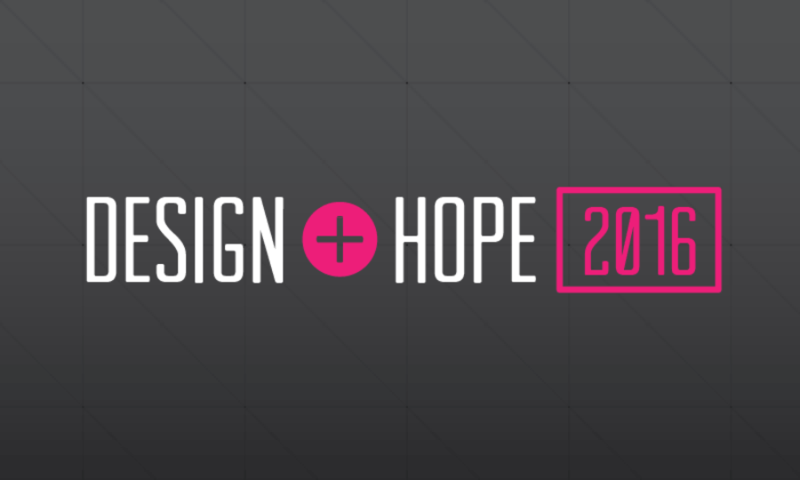 Yeah, we’re relaunching DesignHope, baby! So how is it different? Good question. First, you can only nominate a small, worthwhile, non-profit, or local brand you’re passionate about. And it can’t be your own. Yeah we’re taking this generosity thing more seriously this time. We want you to do this for someone else. We will choose a winner after a rigorous selection process. We’re starting at the beginning providing business consulting. This will help us identify product, process and profitability issues before we do anything else. Then we help design their brand. Then we help build their website. Then we help them come up with and implement a marketing strategy long term. All of these things will have very deliberate, focused time tables. We aren’t going to go on and on with revisions and back and forths. We’ll get it done quickly and keep moving. Of course we’ll document all of this along the way so you can see the progress. There’s more to it, but we’ll dig into things deeper as we get started. For now, check out the shiny new site and nominate your favorite underdog brand for a business tune-up!